From de-classed aristocrat, to social vagabond, to communist revolutionary and legend, Che Guevara, A Revolutionary Life takes us from Che's early beginning as a sickly kid with a tremendous appetite for reading to his miserable last days in the Bolivian mountains trying to spark a revolution. As far as biographies of political figures go this one is truly exceptional as Jon Lee Anderson does an outstanding job of focusing this book not on Che the individual but on Che the devoted servant of the people. There are just so many aspects and stages of Che's life which this book covers that I already know I won't have enough space to cover it all. Therefore I will stick to covering not so much what we already know about Che but what hasn't yet been fully understood about him. With that said, let us travel back in time to Argentina circa World War II, a country caught between Amerikan imperialism and a rising fascist influence. Ernesto "Che" Guevara was first turned on to politics as a young child through his friendships with several other children whose parents were Spanish migrants fleeing the Spanish Civil War. Che's family was also apparently very active in Argentina's petty bourgeois political circles. As a result of all these factors Che soon became semi-political himself, proudly joining the youth wing of Accion Argentina (Argentine Action), a pro-Allied solidarity group.(p. 23) However, he wouldn't really begin developing a critical view of the world until his teenage years when he was shaped further by the political turmoil in his own country as well as by his Spanish émigré friends who had a measurable influence in his life. Years later they would all belong to local anti-fascist youth cells formed by Argentine students organizing against the militant youth wing of the pro-Nazi Alianza Libertadora Nacionalista (National Liberation Alliance).(p. 33) Besides this political organizing the rest of Che's high school years were spent devouring every book he could get his hands on, including Karl Marx's Das Kapital. Che later revealed to his second wife years later that at the time of reading Das Kapital he couldn't understand a thing. Of course this would all change. Through subsequent trips up and down the Americas Che met various Marxist intellectuals he had a high opinion of because they were "revolutionary."(p. 118) In addition, he began to openly identify with a political cause, aligning himself and working within the leftist government of Arbenz in Guatemala. 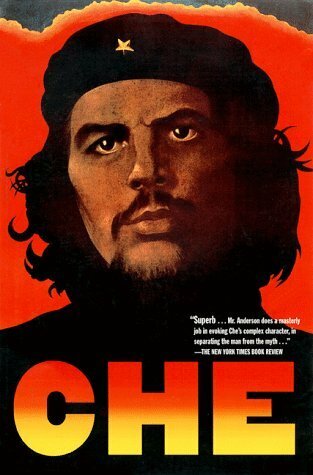 Also, very interesting to note that during this time Che began an ambitious project to write what would have been his first book titled The Role of the Doctor in Latin America(p. 135), a project he would unfortunately never finish due to his preoccupation with other revolutionary activities. A shame too as the ideas outlined for his book apparently dealt with the role of doctors during times of revolution, and one can't help but draw parallels with Frantz Fanon's Wretched of the Earth written after, but around the same period of revolutionary upsurge in the Third World. Wretched not only deals with the anti-colonial struggle in Africa, but the role of the revolutionary psychiatrist. Che was also made President of Cuba's National Bank. Indeed, Che Guevara was fully immersed in trying to build up Cuba's independent socialist economy. He recognized that in order to completely liberate itself from imperialist dependency, the Cuban economy would have to break free from the sugar industry which subsumed Cuba, turning it into a one-crop fiefdom. Cuba would also have to industrialize. Che was also for agrarian reform believing that the peasants who worked the land should have more control and reap more from it. Fidel had similar ideas on agrarian reform but not as far reaching as Che's. As a matter of fact, a thorn of contention between Che and Fidel was Che's strong belief that in order to succeed as a free and independent socialist state, Cuba would have to develop its own productive forces and should bow to no one, while Fidel preferred to play various imperialist powers off of one another in order to receive assistance in modernization and military equipment. And while Che would ultimately, though not always, come to echo Fidel's line on modernization, this seemed to be more because of Che's position as a head of state and diplomat. To Che's credit however he was the principal architect in designing Cuba's economy and re-arranging the military prior to the Soviet Union's involvement on the island. Many just don't realize how much influence and power Che had in Cuba and that the creation of the many progressive institutions in Cuba can be directly attributed to Che's influence on Fidel and Raul. And while Fidel would name Raul as his political successor, it was Che that many noted as Fidel's true right-hand man despite his not even being a native Cuban. One also gets the sense from reading this book that after the initial seizure of power, and as the political situation worsened for Cuba on an international level, Fidel trusted no one else in certain situations and so he ceded many matters of domestic and foreign policy to Che who had a better grasp of political economy, diplomacy and military affairs. This was the period in which the USSR, which had already taken the capitalist road, began to take notice of Che, not only because of his influence, but because of his strong peasant leanings and independent initiative, for which they would begin labeling him pejoratively as a "radical Maoist." Che denied being a Maoist, but actions speak louder than words. In the end and throughout his career it is very well known that Che was a focoist and was killed because of his ultra-left and idealized version of what a popular war looked like. Yet I was surprised to find out that Che's war strategy for [email protected] America was somewhat similar to Mao Zedong and Lin Bao's conception of global "Peoples War" for the Third World. As Che pointed out in Guerrilla Warfare: A Method, the liberation of the Americas from Amerikan hegemony could only come about through a virtual united front of guerrilla and other peasant forces that would use the Andean mountains which stretch from the top of South America to the bottom as a series of revolutionary base areas which they would use to attack the cities and urban zones of [email protected] American countries, slowly but surely wresting control of one country after another until all of [email protected] America was free. This is akin to the village-encircle-city strategy of Lin and Mao. The story of Che Guevara and his iconic image has not yet been forgotten by revolutionaries today, as it continues to inspire us in our own struggles. It is truly a pity that Che succumbed to his focoist beliefs. His story should not only serve as an example as to the type of revolutionaries we should aspire to become, but should also serve as an example of what can happen if we pick up the gun too soon. Focoism has taken away too many good comrades, and in Che Guevara it took away a great comrade! Let it not take one more. So on this day the forty-seventh anniversary of the death of Che Guevara, (9 October 2014) and the day commemorating and honoring Che, "The Day of the Heroic Guerrilla" (8 October 2014) let us raise the red banner of revolution just as Che continuously raised it and died holding it. Let us raise the red banner for the proletariat, for our lumpen and for our nations! Let us be like Che! Seremos Como el Che! La sinifaccion del Marxismo es la adaptación y aplicación del Marxismo a condiciones Chinas. Ese era el principio de la idea de Mao Zedong, y ese fue el fundamento bajo cual Mao Zedong buscó no nada más liberar a China de feudales, compradores, y el control imperialista, pero por el cual avanzó al Marxismo-Leninismo al más avanzado tercer estado de ciencia revolucionaria. Cuando Marxistas tradicionales no visualizaban potencial revolucionario atravez de Europa y Amerika consideraban a Mao "Solo un líder campesino con poco conocimiento del Marxismo," lo que realmente estaban expresando era su duda en la habilidad de la gente China en hacer lucha de clase por que se suponía que estaban "alrevez" y por lo tanto incivilizados, a pesar de que la sociedad China tiene miles de años. Cuando el imperialismo Japonés llegó a China, la renombrado Manchuria y la llamaron suya, Mao desafió y exitosamente aniquiló esa demanda. Liberación nacional para la autodeterminación, era lo que Mao percibía correctamente como su tarea hystorica para empujar a China hacia delante en el esfuerzo Chino para la dignidad nacional. "En esencia, sinifaccion involucraba para Mao tres dimensiones o aspectos: comunicación, condiciones y cultura. El primero de estos es el más claro y menos controversial. Al llamar a un nuevo y vital estilo y modo Chino, placentero al ojo y oído de la gente común China, Mao tocaba un punto valido pero previamente abandonado, que si el Marxismo es de ser entendido y aceptado por otro pais que no sea Europeo debe de ser presentado en lenguaje que se les haga inteligible y en términos relevantes a sus propios problemas. Pero ¿Cómo, desde el punto de vista de Mao, era la recepción del Marxismo en China determinado por la mentalidad (o cultura) y la experiencia (o circunstancias concretas)? Sobre todo, ¿Cómo iban los dos la cultura de la gente China, y las condiciones en el que vivian, ser formadas por el nuevo poder revolucionario puesto en 1949? ... Mao busco definir y seguir un camino Chino al socialismo. En seguir esta vision, él sin duda tomó el Marxismo como su guía.... buscando inspiración al igual, así como abogó en 1938, de las lecciones y valores de la historia China." La adaptación y aplicación del Maoísmo a condiciones [email protected] de esta y por ninguna manera nos niega nuestra hystoria o realidad, al contrario la afirma y demanda que se nos tome en cuenta. Mao dijo que el Marxismo es una verdad en general con aplicación universal y la ciencia en práctica que ahora se ha recapitulado en la historia lo ha comprovado en verdad. Así que ahora que conocemos que el poder de la ciencia revolucionaria el cual es Marxismo - Leninismo-Maoismo trabaja, la pregunta se movió de ¿Qué forma de lucha toma la liberación nacional [email protected]? a ¿Cómo empezamos a implementarla? ¿Cómo nos adaptamos y aplicamos el Maoísmo a las condiciones de la prisión? y luego ¿Cómo aplicamos este entendimiento al barrio, Cómo una organización comunista con vanguardia [email protected] se mira detrás de las paredes de la prisión? ¿Cómo sería en las calles? Todas estas son preguntas que sólo se pueden preguntar y ser contestadas por [email protected] en el proceso de la lucha. La nación [email protected] esta actualmente en una junctura crítica de su hystoria extensiva. Estamos empezando a alcanzar un punto en el que o nos moldeamos con el resto de America Latina, dirigir nuestro esfuerzo hacia la liberación nacional y nos paramos de hombro en hombro con el Tercer Mundo, o vamos a desaparecer junto con el imperialismo. Como en el pasado, hoy la decisión es nuestra. ûContinuaremos mandando a nuestros [email protected] a morir en el periferio por una bandera y tierra que no es de ellos, o los prepararemos para pelear el imperialismo y liberar a Aztlán? Tenemos el compulso revolucionario. Patria o muerte! This book discusses two occasions where [email protected] struggled to control local politics. The first occasion was in 1963 at a time when the "Civil Rights Movement" was in full swing and the second was in 1970 when the slogan "Chicano Power" was popular. The "Cristal Experiment" occurred in Cristal City, Texas. "Cristal" was the Spanish name that [email protected] gave to this city. There were different methods employed in the struggle for community control. What was interesting in the 1963 struggle was that it highlighted the class struggle within Aztlan. When the [email protected] candidates were campaigning, the [email protected] middle class did not take part, or if they did vote they voted for the white politician. 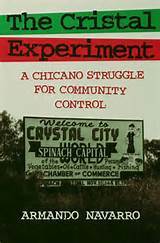 So here was a situation where [email protected] from the barrios were for the first time attempting to take community control and control the city council and yet the Chicano petty bourgeoisie sided with the oppressor. This is a lesson for those seeking real transformation that goes deeper than reforms: if the petty bourgeoisie are in a similar future position, many would side with the oppressors because their class interests are firmly in imperialism's pocket. There was also a distinction in the two "electoral revolts" in that the 1963 struggle was spearheaded by the Chicano leader Juan Cornejo who, with an 8th grade education, mostly used his local popularity. His goals were to get elected and help Raza, but this struggle was limited and reformist at best. The second "electoral revolt" was spearheaded by the politically conscious Jose Angel Guitierrez who, at the time of the 1970 struggle for community control, was studying for his doctoral degree in political science. This comparison highlights the fact that although Gutierrez was an anti-colonialist, in many ways he took on colonial beliefs when it came to external belief systems outside of U.$. academia. He displays the effects of U.S. Anti-communist propaganda where the ridiculous notion is put forward that colonialism and communism are seen as the same. If Guitierrez had done as much studying of communism as he did of Amerikan political science he would have learned that communism is a stage of social development where there is no more "control" of one group over another. Communism has never been reached yet in the world, although there have been socialist governments throughout the years. But his comment defines not only his thought – because he was a leading factor of the struggle for community control in Cristal – but that of La Raza Unida Party (RUP) and what was being pushed in 1970 during this "electoral revolt." It was reformist at heart and did not strive to overthrow U.$. imperialism or capitalism per se. It appeared to be fine with capitalism so long as brown dollars stayed in brown hands. This is bourgeois nationalism; a dead end which merely replaces a white exploiter with a brown one. There were some positive aspects to [email protected] taking control of Cristal's city politics. One example that was subjectively pleasing was when in 1971 the city's exclusively white country club was shut down by the [email protected] city council citing discrimination under the 1964 Civil Rights act. When the white country club members won in court, however the city then exercised eminent domain to confiscate the land of the country club and convert it to public housing among other things. This is something that [email protected] have been dealing with since 1836 in Texas, and 1848 throughout Aztlan, when our nation became occupied by Amerika, only it was [email protected] always struggling against the city. So it was pleasing to see [email protected] acquiring small forms of justice, if only temporarily. I did enjoy the change in curriculum that occurred as a result of the RUP's "peaceful revolution." Full [email protected] studies were incorporated into the school curriculum, things like history, politics, and art were all [email protected] or taught from the [email protected] experience. Even the music used by the high school band was changed to include corridos and ranchera music. In this way the schools were guiding the youth toward the [email protected] nation, rather than away from the nation as it is today in Amerikan schools. The author describes how the band members would, in formation, use a clenched fist salute. Football players in the high school would also raise a clenched fist whenever they scored a touchdown.(p. 232) The youth were being revolutionized. The way the author sums up 1980 could be describing 2014 when he said: "The bottom line was that in 1980 Mexicanos still suffered an internal-colonial status dependent on state and federal mechanisms, which were controlled by whites. The Mexicano community essentially was left to fend for itself. People were increasingly alienated, disorganized, and lacking leadership." Although today's conditions still have the [email protected] nation existing as an internal semi-colony and the mechanisms Navarro discusses are controlled by Amerikans, I don't believe simply putting [email protected] in control of U.$. "mechanisms" will solve things. Socialism which puts people before profits will be what helps resolve our situation. Today Cristal has been left to the capitalist wolves. As of 1990, 40% of the homes in Cristal did not have proper plumbing, almost half of the population was on food stamps, and [email protected] studies was replaced with "American studies." The author makes clear that [email protected] exist as an internal colony and that we do need to pick up where the past [email protected] movement left off. He says we need a new movement and I agree. Let us begin to rebuild the [email protected] nation in our quest for independence. But this will take more than creating community control within U.$. imperialism; it means smashing capitalism-imperialism and replacing it with socialism. Only then can we be free. As a prisoner who has been studying revolution and theory for some years now I must admit that even for the most politically conscious prisoner, the issue of gender oppression is not as clear as it should be. Part of the problem, at least in my opinion, is that gender issues are largely taboo topics within prisons and this is a reflection of the grip of patriarchal culture and backwardness which plagues these dungeons. For those of us attempting to de-colonize not just our own minds but also the minds of our fellow prisoners, it is necessary to understand what gender oppression entails. It seems ridiculous to learn about uprisings and liberation struggles without learning who was liberated. Our aim should be to discover how all of society was freed, not just how men were freed, or how a certain gender was freed. Consciousness means we become educated in more than gun battles or our people's history. It means we understand people and the struggles they go through because in one way or another we are part of this struggle. There should be no part of society that we do not understand. Gender issues are a part of our society so we should understand them fully. But this takes us going outside our comfort zone. Homosexuals and trans people will continue to exist even if some don't like it or people don't talk about it. Just like biological wimmin will continue to exist, or men for that matter. Not understanding a phenomenon will not make it change or disappear. Rather by not understanding something we usually only react to it in the wrong way, which only helps the oppressor. Having been born and raised in a colonial-patriarchal-capitalist society, like most other prisoners I have gone about my life unaware of the realities of gender issues. An oppressive society works hard to keep our minds off the tough issues and even shapes the gender roles the way they want people to follow them to reinforce their hold on power. If we don't make an effort to understand our social training, we simply grow up lining up to the role capitalist society has laid out for us; what they say is right. There are many elements of gender oppression, for example "male chauvinism." There is such a thing as "gender chauvinism" where one gender believes it is above another and as a result it will deny other genders of their rights. Gender oppression has existed since the birth of classes. Males took control of capital ownership from the beginning and the institution of patriarchy has simply been strengthened with heterosexual males at the top ever since. It is a social structure built on oppression just as vile as racism. As I researched the Chicano movement of the 1960s and 70s I saw two things that were tied to one another. One was how there was a large current within the movements which was stuck in bourgeois nationalism, meaning it was all for the Chicano movement but was not anti-imperialist or even anti-capitalist. This was a shortcoming. But the other thing was many back then were homophobic and male chauvinist, and these two things fed off each other and served as a host for the other to exist and thrive. The interconnections between gender oppression and class oppression are extensive. They, along with national oppression, are what keeps Amerikkka existing. Today's [email protected] movement learns from the past and we move forward combating gender oppression any way we can. 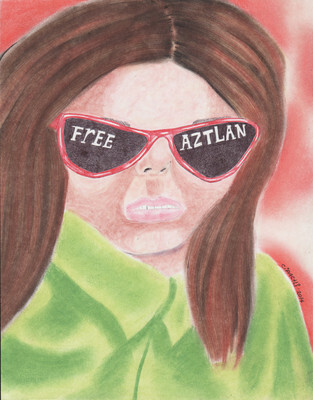 Aztlán will not be freed without all [email protected] being free, including those oppressed because of their gender. Gender is tied to the social reality in which we exist and I agree with those who argue that to snip the cord between gender and social reality is a metaphysical notion. We cannot expect to transform gender oppression without transforming society. As prisoners we need to change the perception of male-dominated struggle. Even in the prison movement, which is struggling for prisoners/humyn rights, many believe it is a male prisoner thing. In reality, other genders are untapped and yet to be harnessed and set free to help lead our efforts within U.$. prisons. If we look to the history of governments we find that nowhere was it possible to combat gender oppression with quicker results than in Mao's China. In 1976 when Mao died wimmin were about 22% of the deputies and about 25% of the standing committee of the National People's Congress which was the highest governmental body at the time in China. After Mao's death these numbers were reduced greatly. This was a period when wimmin in the U.S. Congress were about 1%! When taking all this into account, with gender oppression existing in the United Snakes, it's important that we also understand that there is also a First World gender privilege which, like the worker elites, benefit just by living within U.S. borders. Wimmin in the First World, of all nationalities, enjoy a privilege that does not exist in the Third World. But of all First World wimmin, white Amerikans still enjoy the most privilege in the First World, just like their white worker counterparts. Complete gender equality will come when we reach communism, and until then we need to make a conscious effort to combat gender oppression within our struggles for liberation. I'm incarcerated in a Maryland State Prison where 76.2% of prisoners are Black (15,386 of the state's 21,194 prison population). Blacks are 18.9% of the state population according to the 2010 census statistics. The state is dominated and governed by white so-called liberals. The laws are enforced unequally, the courts are inherently racist, and the prison population illustrates the disproportionate number of Blacks locked up. Maryland is another Ferguson, Missouri, especially the city of Baltimore where 72% of the Black prison population comes from. 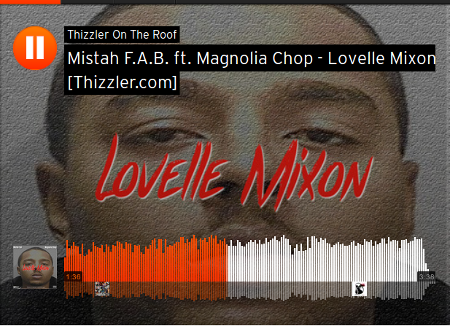 MIM(Prisons) adds: Prisons within the United $tates are used as a tool of national oppression. It was the revolutionary nationalist movements of the 60s and 70s, most notably the Black Panther Party, which terrified the Amerikan government and led to a dramatic rise in imprisonment rates, focused on oppressed nations. As the book The New Jim Crow documented, from the police to the courts to the prisons and back onto the streets systematic national oppression demonizes oppressed nations as an excuse for this imprisonment. We would not just call the courts "racist" though, because racism is an attitude, and we think this goes much further than just attitudes. National oppression is systemic in the courts, and a fundamental part of imperialist economics in general.